As Peace Corps Volunteers we are forbidden to travel away from our sites overnight during our first three months at our permanent site. September 15th marked our group’s three-month mark, so we are finally released from our gilded village cages. To celebrate this, 13 volunteers and I headed to Southern Bali for the first time to enjoy three days of fun, sun, but mostly, freedom. 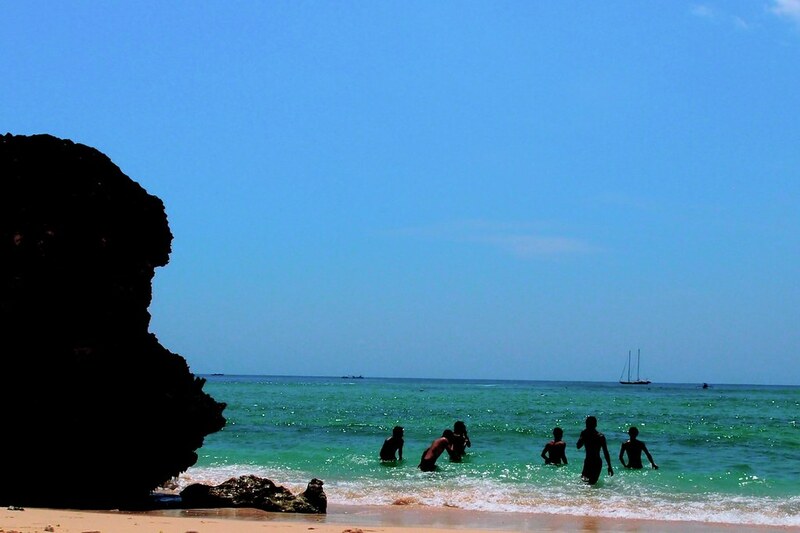 These are my impressions of Kuta, Bali. 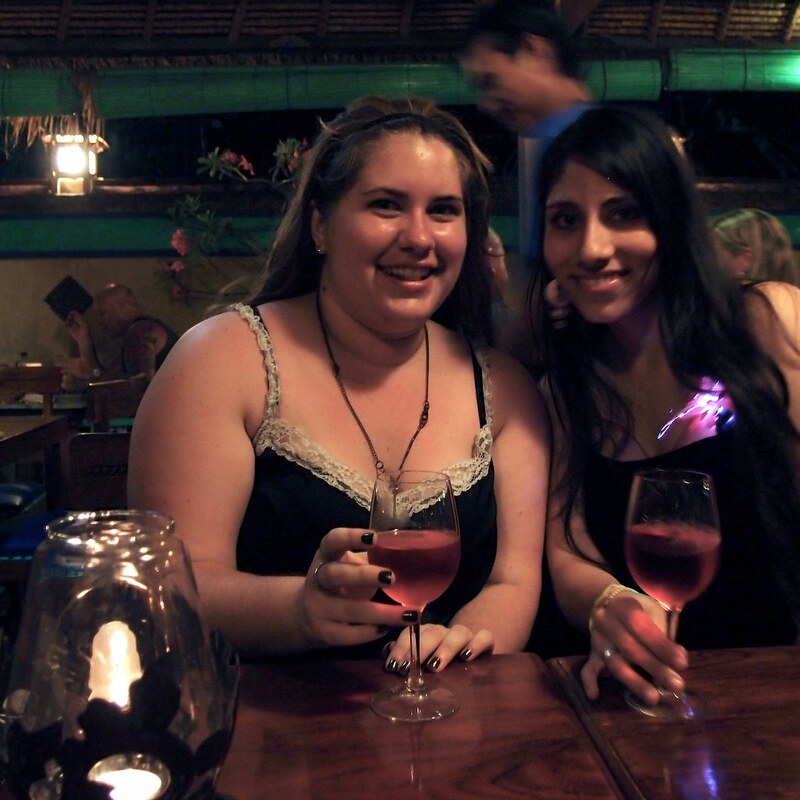 Bali was like finding a portal to the Western world. Kuta, the city where we stayed, was like landing in Miami. I marveled at the huge Starbucks, Planet Hollywood sign, Hard Rock, uncountable amounts of non-Indonesian food restaurants, McDonalds, KFC, Pizza Hut, Dominos, upscale malls and stores, clubs, bars, pubs and tourists. Since being in Indonesia I have spent a lot of energy trying to explain what an American city is like. Unbeknown to me, I could have said: Go to Kuta and you will see. White people included. Eight other volunteers and I stayed in an amazing villa that Amy deserves all the credit for finding and booking. (Thanks again, Amy!) The place was so incredibly nice, that it was tempting to never leave the villa, indulging in a relaxing three-day vacation by our private villa pool. 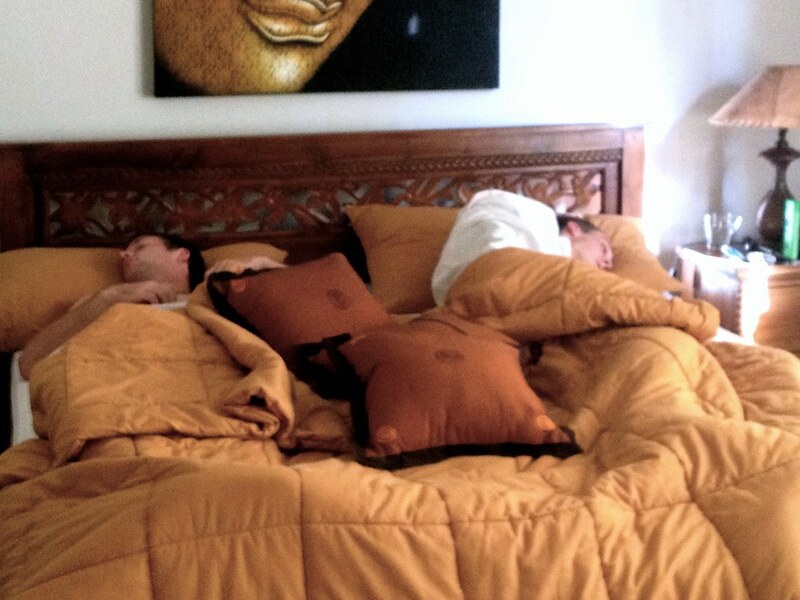 Richie and Justin enjoying their king size villa bed…with the safety of their pillow wall. And of course it was lovely to see friends and hang out with people my age past (insert gasp here) 10pm. Like I said, Kuta is like being in Miami. 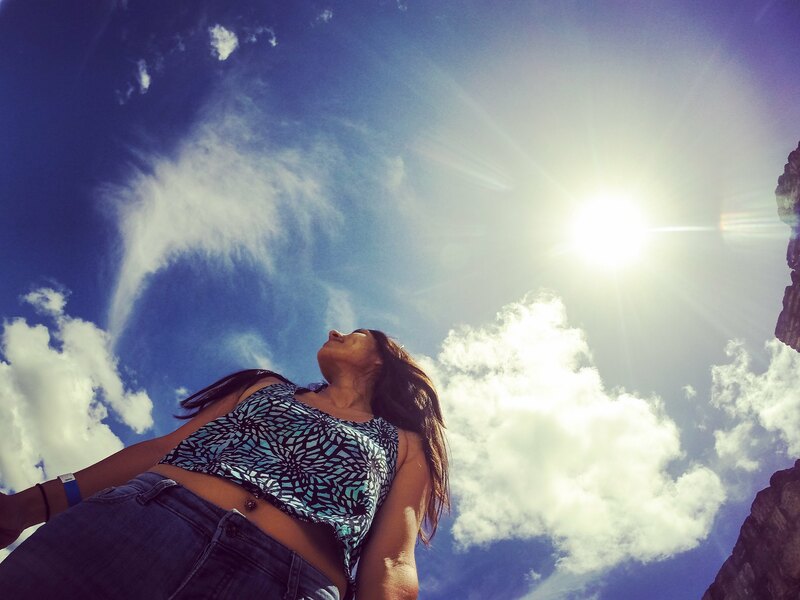 The problem is: I am not a fan of Miami. 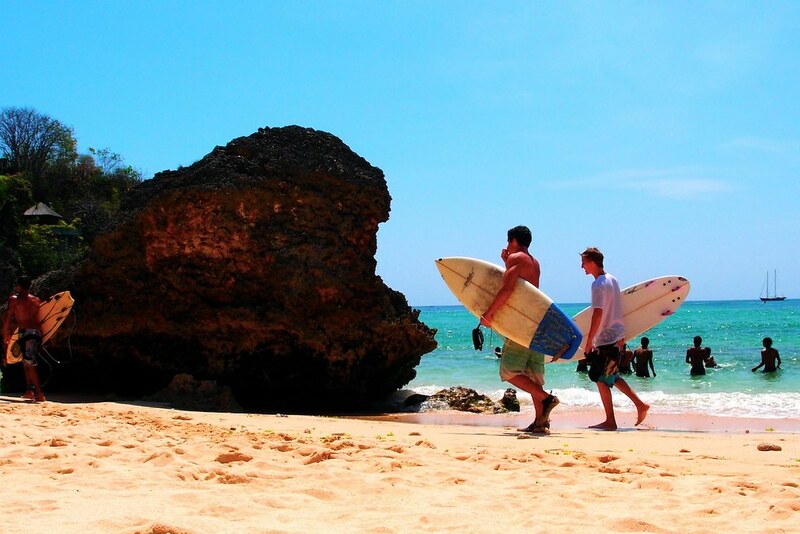 Perhaps, Kuta is also like Orlando or better, Las Vegas, with its “Disneyworld for adults” vibe. I expected to at least see the coastline as I waited in insufferable Bali traffic. Instead, we worked our way through crowded streets bursting with advertisements for Western food and stores directed towards the hundreds of English-speaking tourists roaming on motorcycles, passing by exaggerated Hindu statues and artificial Asian architecture. In a sea of overdevelopment, Ralph Lauren stores, Pizza Huts and Starbucks attempted to blend in under pagoda roofs and disguised behind thin, stone Buddha statues. It reminded me of the Around the World setup in Disney World’s Epcot Park. Aside from that, it was weird to have access to all Western commodities again. Yet, it was weirder for me how natural it was to fall back into using toilet paper, hot showers, normal western toilets, air conditioning and eating in restaurants. It was mechanical and expected—a thoughtless routine. Probably because I have been doing it for the past 24 years. I thought 6 months of living like an Indonesian would change that, but I have returned to my default settings and I’m actually readjusting to my village life—and particularly mourning my independence—after three marvelous days of my old ways. As a PCV, it’s nice to know I can get my fix of this without having to travel to the other side of the world. 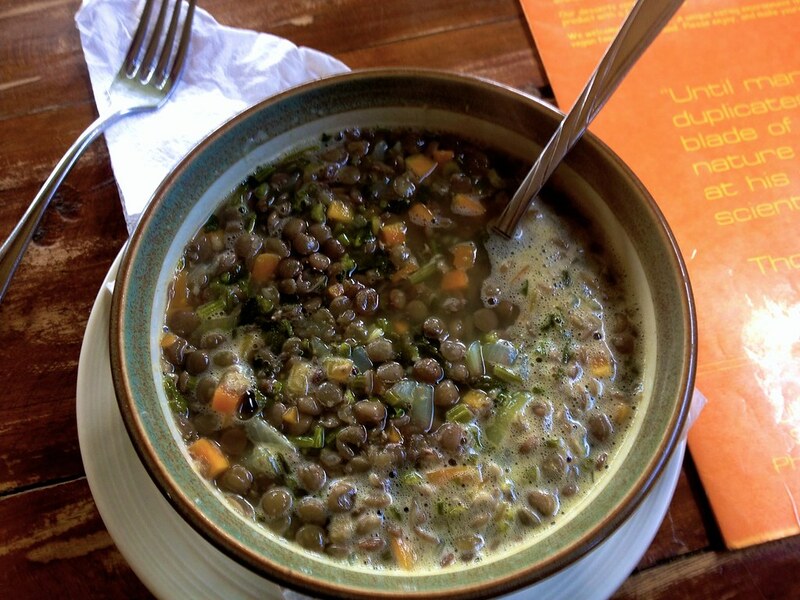 I’m gonna be one of those obnoxious people posting pictures of their food…but I almost cried in this lentil soup…it was so beautiful. That being said, it’s strange how this area of Bali is so tailored to foreigners. Since I am living in Indonesia for the next two years, I didn’t particularly intend to go on vacation to experience Indonesian culture, but isn’t that what travel is supposed to be about? 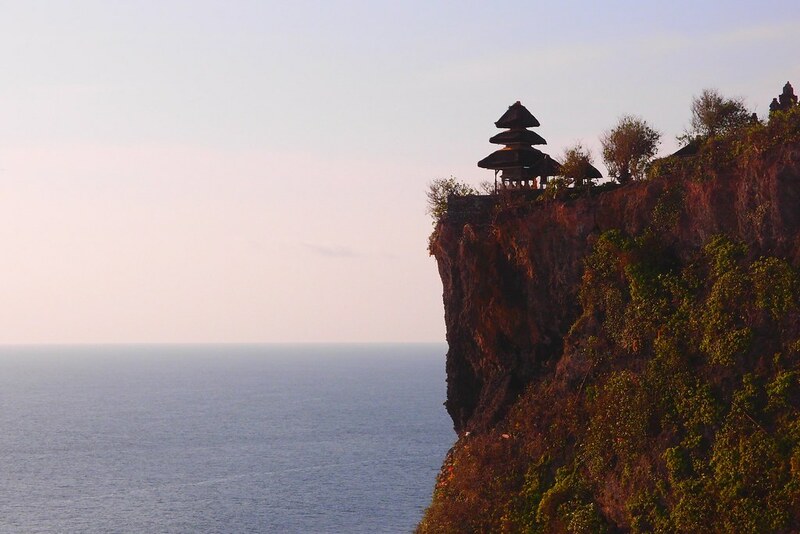 I had to actively seek opportunities to engage in the unique Balinese culture. I definitely didn’t expect that. 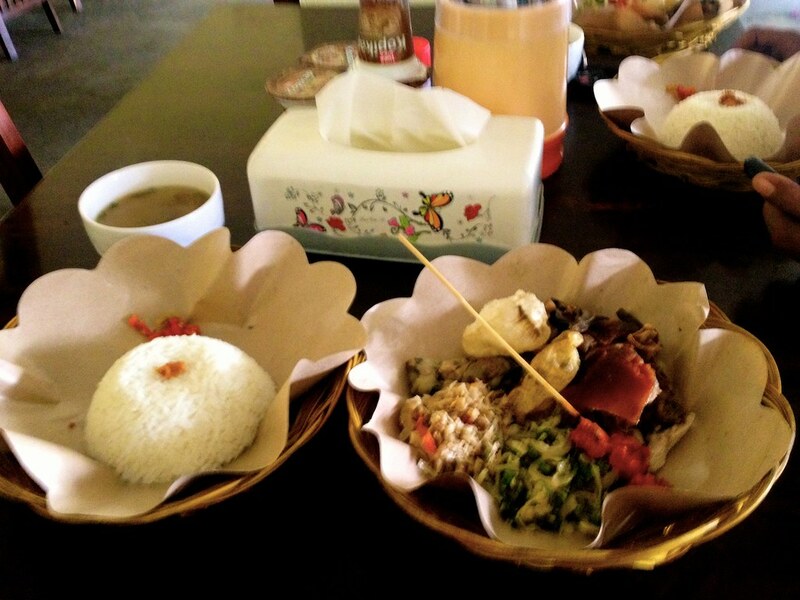 Having a Balinese pork lunch with Balinese driver in the Bukit Peninsula. This was basically like spicy hornado and really delicious. It was also strange that the Balinese people I interacted with—mostly drivers, warong and shop keepers—seemed shocked at my ability to speak to them in Bahasa Indonesia, but mostly, by my desire to engage with them at all. Most seemed accustomed to being ignored, being treated like servants and/or dealing with people’s anger over miscommunications—but this is their home. I find it infuriating that the people who call Bali home, are often treated like second-class citizens by their visitors. I supposed this is often the case in all touristy areas—and possibly even true for all people working in the service industry. A Legian jewelry warehouse. 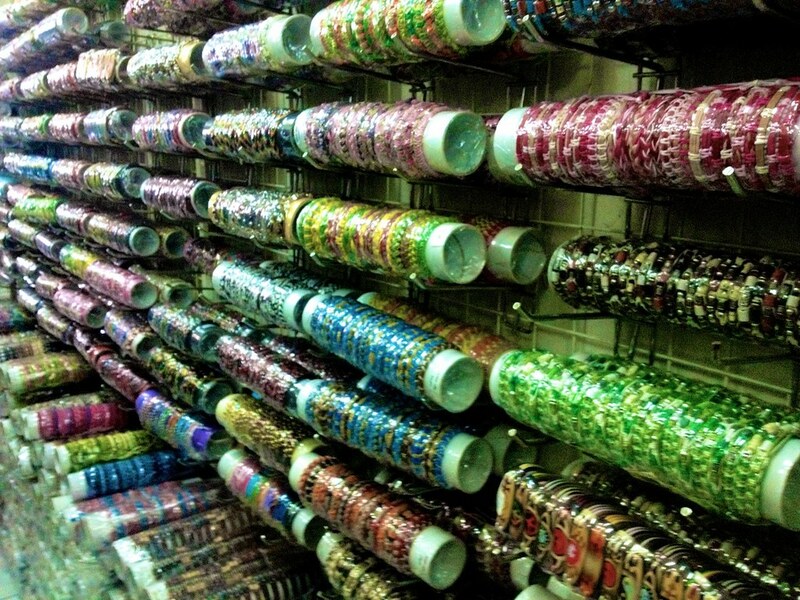 I’m currently regretting not buying a roll of bracelets. I was so overwhelmed by all the cute things that could be bought in Bali—not only in the jewelry department—that naturally, I bought nothing at all. My romantic idea of Bali was that it would empty, remote and pristine—which I’m sure is the case in some areas in Bali—but definitely not in Kuta. 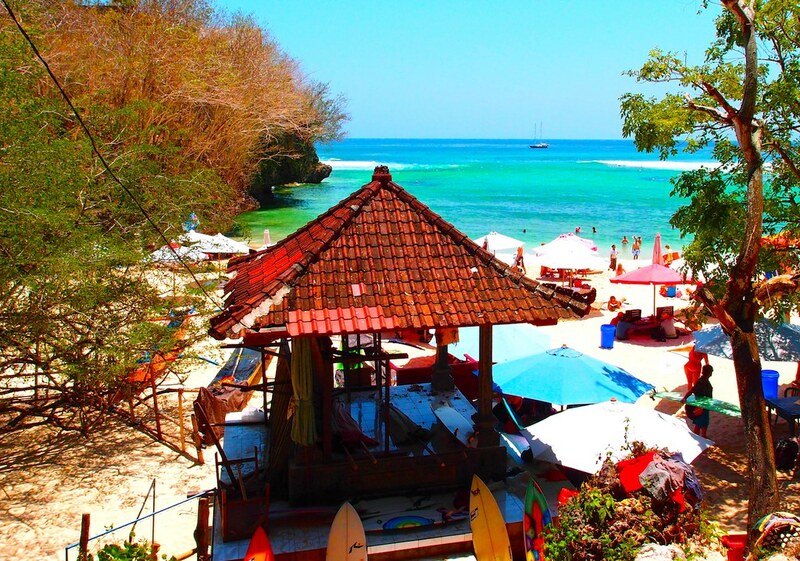 One day I ventured out of Kuta, looking for these fabled locations pictured in guidebooks and all over the internet. What I found was something definitely better than Kuta. 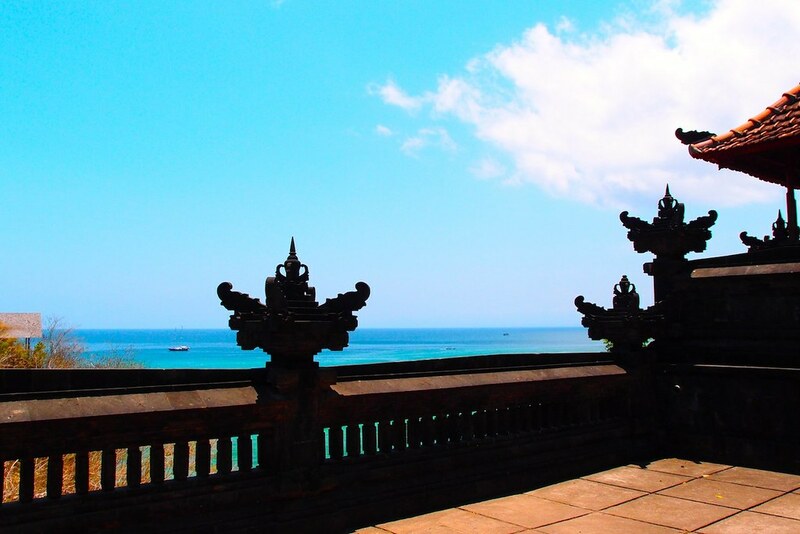 Two beaches, Padang Padang and Dreamland, in a popular surf area in the Bukit Peninsula, and one of the major Hindu temples Pura Luhur Ulu Watu— all filled with tourists. Hindu shrine before entering Padang Padang beach. 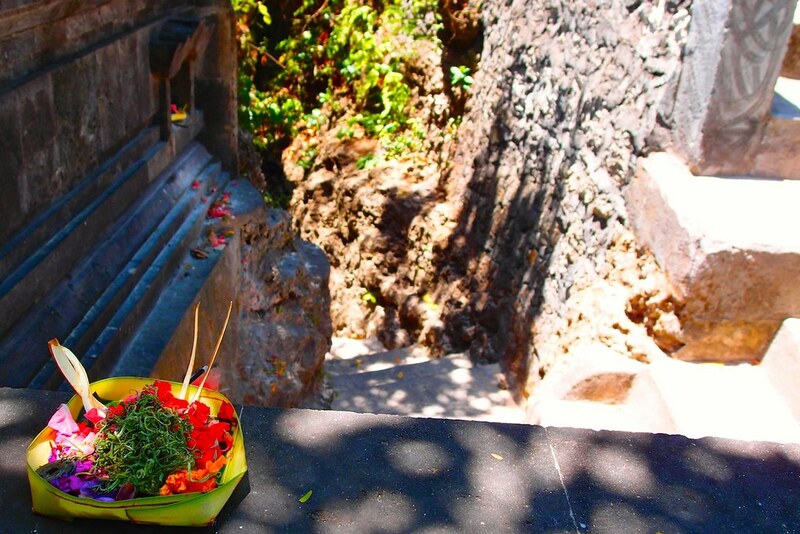 Hindu offerings of flower petals and incense to the gods, which are found all over Bali. 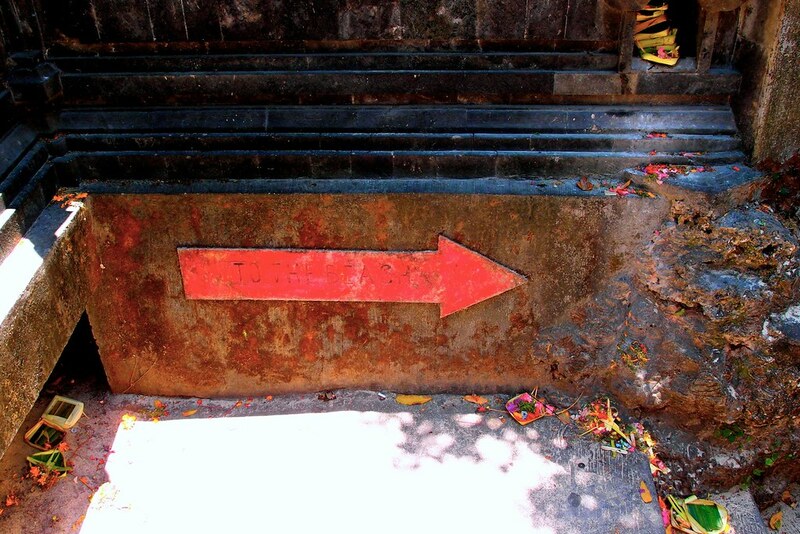 “To the Beach” Sign in Padang Padang leading tourists down a cavern with steps. 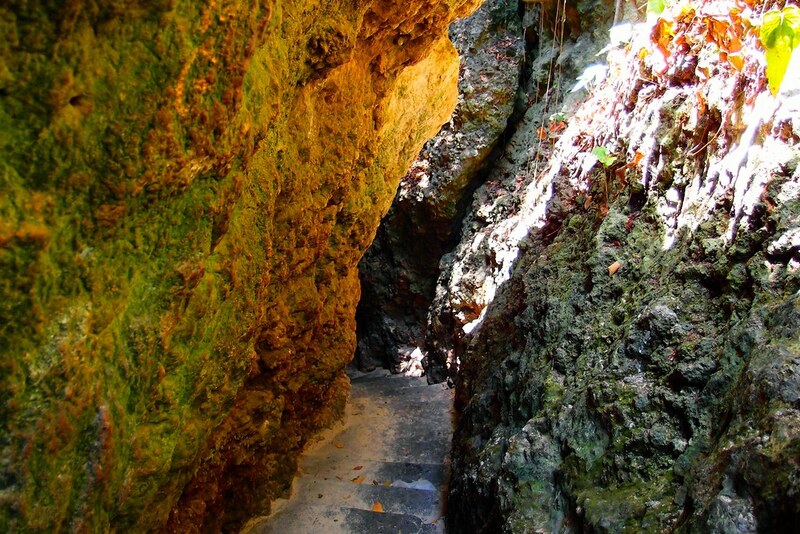 I walked through the shadow of this cavern of death…all to get to Surfer’s Paradise. It was worth it – Padang Padang Beach. I know I am not the only one using guidebooks or the internet to travel, but I never expected to see so many tourists in the supposed “low season.” I was literally competing with hundreds of them armed with high-tech cameras just to see any given site. I waited and waited, while they arranged their large groups into cheesy poses next to monkeys, lying on the sand, playing in the waves, in front of the temple steps. I was even asked to be in some of their pictures. 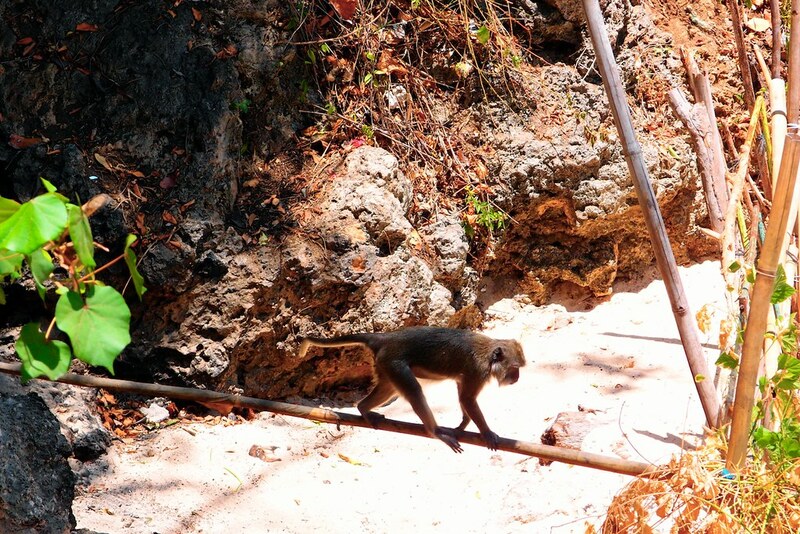 That monkey is trying to escape from tourists’ photos…but I caught it. A few of many, many tourists. A few of the locals I saw in Padang Padang. Surfers in Padang Padang – many of them were Spanish tourists. Chillin’ in Dreamland – the name of the beach could not be more appropriate, but note that I cropped out all the tourists to the sides. In a word, it was obnoxious. I was trying to photograph a few things too—so I’m not exempt from that tedious aspect of tourism—but there were some serious photo hogs around and careless people that ruined not only my shots, but the shots of other people, causing them to take another ten photos “just in case”. Tags: bali, bukit peninsula, culture, dreamland beach, Indonesia, Indonesian culture, kuta bali, language, padang padang beach, peace corps volunteers, Pura Luhur Ulu Watu, Pura Ulu Watu, southern bali, travel, Ulu Watu Temple, vacation, western toilets. Bookmark the permalink. 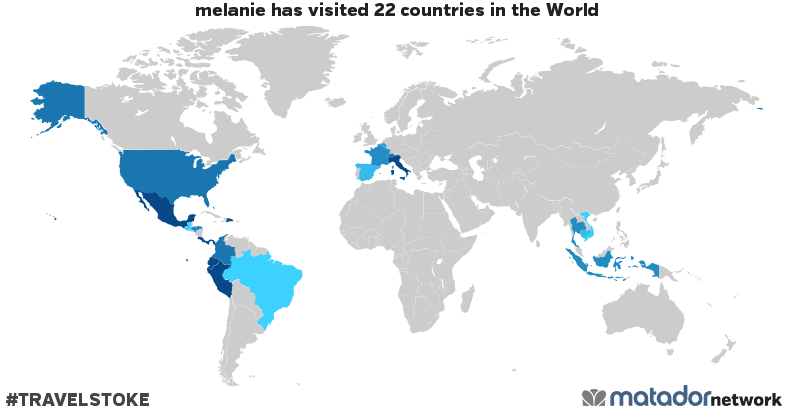 Hey Mel! Well…I guess we talked about this already. I was recently in Turkey where I did not speak the language. And a couple of years ago I went to Prague…I didn’t speak the language there either. I guess when you travel to a place where you don’t speak the language you can do a couple of things. You can decide to go with a tour group, and obviously since it is a hired group you will be with it most of the time, you won’t really wander off by yourself and your guide will definitely speak your language and they will take you to highly touristy places where people will speak some english and you will have no trouble. I am not the biggest fan of doing that of course. So what I do is prepare for the trip, I usually travel with the Lonely Planet guide, and this book always has a couple of phrases in the back which can be useful. If not I look for some phrases online. I find it useful and respectful to learn are basic greetings, you know, hello, goodbye, good morning, thank you, please. The numbers are also useful for ordering things or buying things. Then as you travel you start learning other things, like names of things. Its also good to keep some things down in your pocket for “emergencies” so phrases like “I am lost can you help me?” or “can I use your phone?”…having things like that can be useful if you get lost. Apart from that you would be surprised at how much you can accomplish with body language a couple words in the language and a big smile. The smile is really important…you have to be nice…that way people will want to help you even if you don’t speak the same language as them. felt the same way about Kuta! It was sad to see how the workers tried so hard to “cater” to the tourist. But Kuta is what it is. Worth an experience all the same and still a place you have to go to at least once!